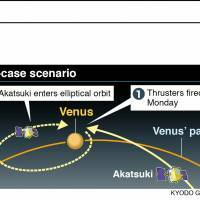 The Japan Aerospace Exploration Agency made a second attempt Monday morning to put the Akatsuki probe into orbit around Venus, five years after a problem with the main engine thwarted the first try. “It is very much expected to enter the planned orbit,” JAXA professor Masato Nakamura, who is in charge of the Akatsuki program, said at a news conference after the agency confirmed that Akatsuki’s equipment, including communications, was still functioning properly after a four-thruster burn went as planned. 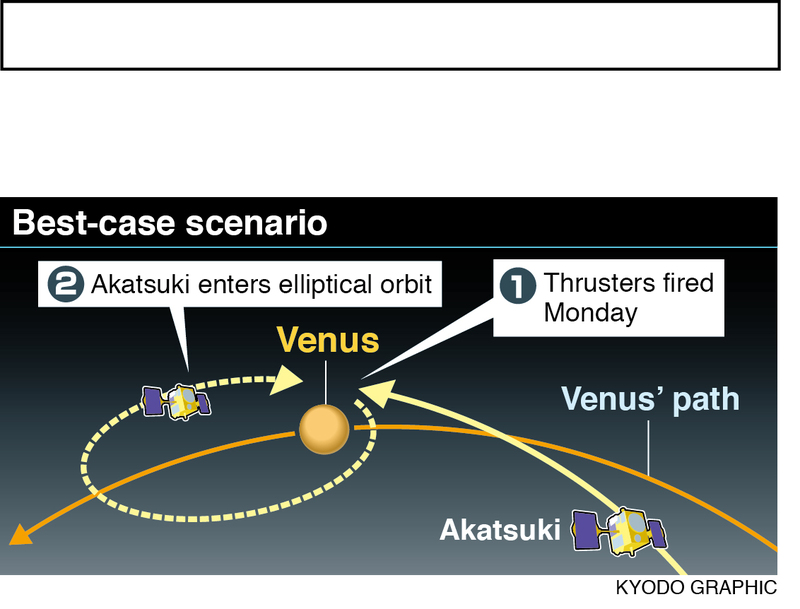 With the nozzle of the probe’s main engine apparently wrecked, JAXA reprogrammed Akatsuki to use four thrusters for an attitude-control burn to send it into an elliptical orbit of up to 300,000 km and eight to nine days long around Venus, giving it two years to observe the planet’s meteorological phenomena. 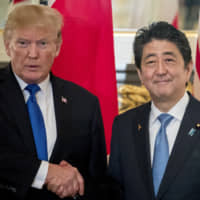 Officials confirmed that communications with Akatsuki were normal after the 20-minute burn that started at 8:51 a.m., eliciting applause from the control room at JAXA’s Sagamihara Campus in Kanagawa Prefecture. JAXA won’t be able to confirm whether the maneuver succeeded until Wednesday, when it will make an announcement. 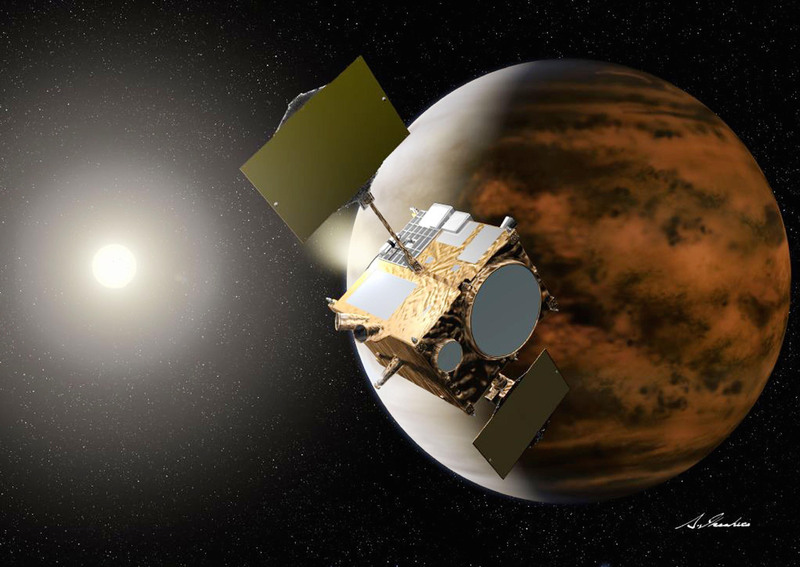 Carrying six types of observation equipment, Akatsuki is designed to study the thick clouds shrouding Venus in three dimensions and how its strong winds, estimated to be faster than 360 kph, cause an atmospheric phenomenon known as super-rotation, in which the atmosphere rotates much faster than the planet. But the probe will not be able to collect as much data as initially intended because it will be circling the planet at a much higher altitude than envisioned under its originally planned orbit time of 30 hours, which it was unable to achieve in December 2010. The probe was launched in May 2010 by an H-IIA rocket. After failing to achieve orbit around Venus, JAXA let the probe orbit the sun and adjusted its path in 2011 and this year to prepare for Monday’s second attempt. Despite being exposed to more heat and radiation from the sun than it was designed to withstand, no damage has so far been detected to Akatsuki’s equipment. 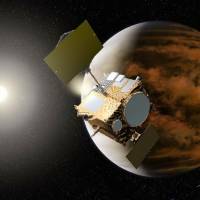 Akatsuki’s second mission is being driven by its 35-year-old female chief researcher, who discovered a way to swing the probe into orbit. “I didn’t expect it to be so hard,” said JAXA’s Chikako Hirose. 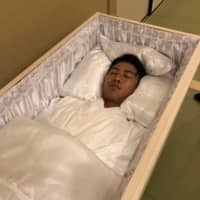 The failure of the first Akatsuki mission was announced just a few months after Hirose had been transferred from Tsukuba Space Center, JAXA’s headquarters in Ibaraki Prefecture, to the Sagamihara Campus, where the Akatsuki team is based. 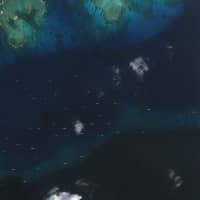 Hirose, a specialist in orbital determination for space debris, was assigned to a team charged with calculating and adjusting the trajectory for inserting the orbiter. In their initial calculations, the probe would always crash into the planet however they did it. But after 2½ years of deliberating day and night and “not attending” to her husband, she found a solution to the problem and developed a way to insert the pesky probe into orbit. Hirose married in 2011 and had her first child in 2013, returning to work a year later after maternity leave — just in time for the orbital insertion.